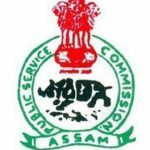 Assam Public Service Commission (APSC) has today declared the examination date for Combined Competitive (Preliminary) Examination 2018. According to this, the APSC CCE (Prelims) 2018 is going to be held on 24th November 2018. “This is for information of all concerned that the Combined Competitive (Preliminary) Examination /2018 will be held on 24/11/2018 (Saturday) at 31 district headquarters viz Barpeta, Biswanath Chariali, Bongaigaon, Dhemajl, Dhubri , Dibrugarh, Diphu, Goalpara, Golaghat, Hatlong, Hamren, Hatsingimari, Hojai, Jorhat, Kajalgaon, Karimganj, Kokrajhar, Majuli, Mangaidoi, Morigaon, Musalpur, Nagaon, Natbari, North Lakhimpur, Silchar, Sivsagar, Sonari, Tezpur, Tinsukia, Udalguri And Guwahati. 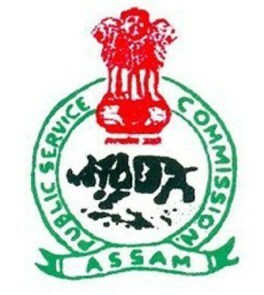 The status of the applications and the e-Admission Certificate for the said examination will be uploaded in the website www.apsc.nic.in within a short time. Candidates should check the status of their applications before downloading the e-Admission Certificate. 1. This year Roll No. will be of 7 (seven) digits. Space will be provided in the OMR sheet for filling up the Roll Number. 2. Candidates will have to paste a recent passport-size photograph with white background on the space provided in the e-Admission certificate. 3. Prohibited items such as electronic communication device including mobile phone, Bluetooth, earphone, tablet, calculators, books, scale, or drawing instruments will not be allowed inside the Examination Hall. 4. For detail information, please refer to “Instructions to Candidates” which can be downloaded from the APSC website www.apsc.nic.in. 5. Candidates should note that no hard copy of the admission certificate will be dispatched. 6. No request for change of ‘Optional Subject‘ and ‘Centre’ already chosen by the candidates will be entertained. 7. No candidate will be allowed to appear in the examination hall unless he/she produces the e-Admission Certificate. 8. Candidates must bring any one of the valid identity proof documents such as, PAN Card/ Driving License/ Voter ID Card/ Bank passbook containing photograph/ ID card issued by the Educational Institution where the candidate is studying presently / ID card issued by the Govt. or Public Sector Undertaking/passport etc.